Mary Frank Fox, Ph.D. is the ADVANCE professor in the School of Public Policy, Ivan Allen College of Liberal Arts and co-director of the Center for the Study of Women, Science, and Technology at Georgia Tech. Her research focuses on gender, science, and academia with significant implications for science and technology policies. Fox has introduced and established ways that the participation and performance of women and men reflect and are affected by social and organizational features of the places in which they are educated and work. She has addressed these complex processes in a range of research encompassing education and educational programs, patterns of collaboration, evaluation for advancement, salary rewards, publication productivity, social attributions and expectations, work-family conflict, and dimensions of academic careers. Fox’s research has been supported by the National Science Foundation (NSF), Alfred P. Sloan Foundation, and the Kauffman Foundation. Her publications appear in more than 60 scholarly and scientific journals, books, and collections. Fox’s current research includes a study of “The Transmission Zone Between Consumers and Producers of Knowledge about Women, Science, and Technology,” supported by NSF, and a study of “Women Faculty in Computing Fields,” funded by the Sloan Foundation. She has advised numerous boards on science and technology policy, including the NSF Human Resources Expert Committee; NSF Board for the use of human resource data; NSF ADVANCE Study Panel; National Academy of Sciences’ studies on gender differences in careers of doctoral scientists and engineers, and on early careers of life scientists; and Social Science Advisory of the National Center for Women and Information Technology for which she was co-chair. 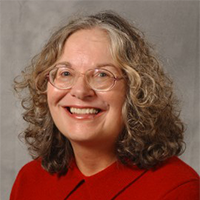 Fox was a founding associate editor of Gender & Society; past president of the Sociologists for Women in Society; and a twice elected member of the Council of the American Sociological Association's Section on Science, Knowledge, and Technology and an award recipient of its "Section Star” in 2015. She is a member of the editorial board of Social Studies of Science, the leading journal in her field, and member of key advisory panels and boards appearing below. "Georgia Tech Gender Equity Champion Reflects on Role as Pioneer of Gender in Science Studies"